Despite persistent concerns that a no-deal Brexit is possible if no Brexit solution is reached in the coming weeks, the British Pound to US Dollar exchange rate edged higher today. Hopes for a solution to be reached kept Sterling buoyed while the US Dollar remained relatively unappealing following yesterday’s US recession fears. Last week was a volatile one for GBP/USD, as the pair opened the week at the level of 1.3300 and briefly plummeted to a low of 1.3024 before rebounding and closing the week closer to the level of 1.3213. This week’s movement has been a little steadier so far, as both currencies are weighed by political and economic uncertainties. At the time of writing, GBP/USD was trending closely to the level of 1.3231. Hopes that more UK MPs could be beginning to support the government’s Brexit plans as Parliament’s indicative votes process is about to get underway is helping the Pound to avoid further losses. However, there is still fear that unless the government can push through a solid Brexit plan the UK could be headed towards a no-deal Brexit or even a general election. Some investors opted to buy the Pound versus an unappealing US Dollar today, and demand for the British currency was supported slightly by speculation that domestic support for the UK government’s Brexit deal was finally rising. Hard-Brexit supporting MPs in the Conservative Party have previously blocked the government Brexit plan, but on concerns that indicative votes could lead to a softer Brexit some are beginning to indicate they could support the government deal. Parliament voted in favour yesterday of holding ‘indicative votes’ on the next steps for Brexit. These could influence the direction the Brexit process heads next and help the government to find a way to resolve the Parliament deadlock. However, the government has insisted it is not committed to making any changes that MPs support. These indicative votes will be more like suggestions. While the Federal Reserve’s March policy decision last week indicated that the bank was not looking to hike OR cut US interest rates this year, US Dollar investors are still anxious that the Fed could cut interest rates in the foreseeable future. 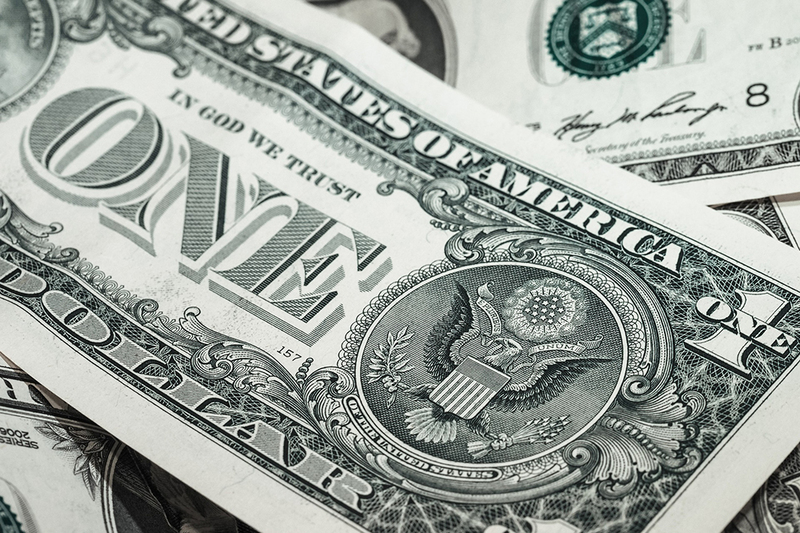 The US Dollar has lacked fresh support this week so far, as last week’s Fed news continued to put pressure on the currency while markets calm slightly from yesterday’s US Treasury bond yield news. US Treasury bond yields hit their worst levels in 15 months on Monday, which to analysts is often an indication that a recession could be on the way. US recession fears put additional pressure on the US Dollar yesterday. Investors are hesitant to move too much on the Pound to US Dollar exchange rate until Brexit developments over the coming sessions give markets a better idea of the direction Brexit could head in. With just over two weeks until the new Brexit date, a resolution to the process is among the biggest concerns for forex markets and especially Pound traders. If the indicative votes process points towards a softer Brexit or improves support for the government’s Brexit plan, no-deal Brexit fears could dampen and the Pound will rise. On the other hand though, if no solution is met and a no-deal Brexit or general election becomes more likely, Sterling will slump. US Dollar investors are more likely to await notable US ecostats. US housing data will be published today, followed by trade balance stats tomorrow. Still, US growth and PCE inflation data due towards the end of the week, as well as Brexit developments, are more likely to influence the Pound to US Dollar exchange rate.